Home > News > BOOM… Welcome to the Great Yarmouth Arts Festival 2018. Starts today! BOOM… Welcome to the Great Yarmouth Arts Festival 2018. Starts today! 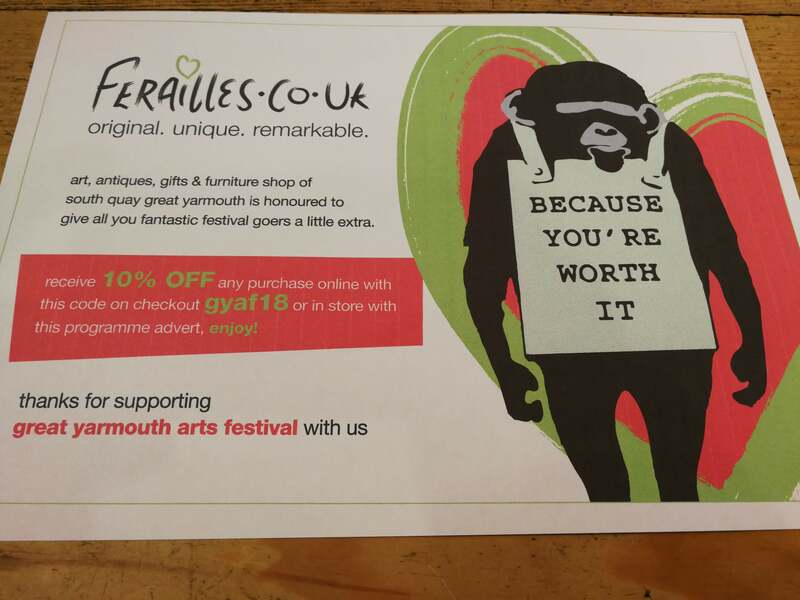 When taking the time to investigate and explore this Years’ amazing ARTS on show here in sunny Great Yarmouth – please be sure to take advantage of our “gyaf18” offer both in store or online. ← We Are Open. We survived the beast from the East!